LETTER | The Agora Society welcomes the Pakatan Harapan government’s announcement in the recent budget that unlimited monthly travel passes will be made available to commuters in January 2019. 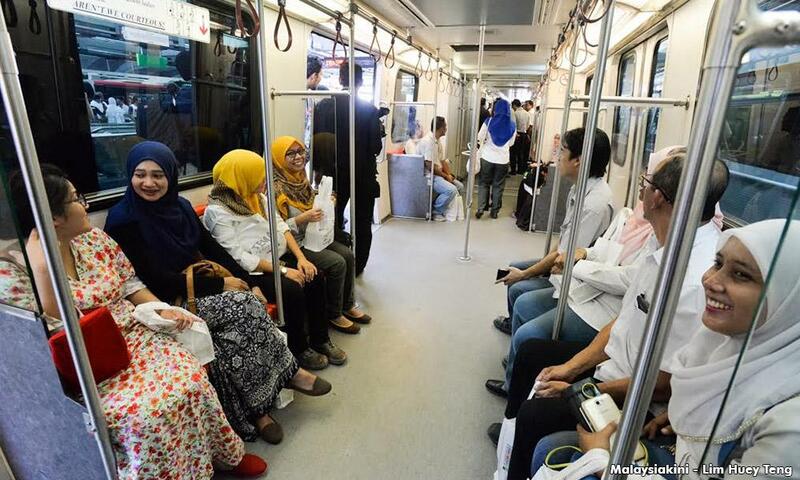 This represents a right step towards encouraging a greater use of public transport in the Klang Valley and reducing the cost of living for the lower income groups. We are, however, dismayed by the statement of Anthony Loke, the transport minister, that the two versions of the monthly pass, one costing RM100 for all Rapid rail and bus services and the other for Rapid bus services only at RM50, are limited to Malaysian citizens only. The decision practically excludes a large number of non-Malaysians who have been making significant contribution to the Malaysian economy. Migrant workers, for one, would stand to lose as compared to Malaysians despite the fact that the Malaysian economy has benefited tremendously from migrant labour. In an October 2017 report "Migrating to Opportunity", the World Bank stated that a 10 percent net increase in low-skilled migrant workers raised Malaysia’s real GDP by 1.1%, and low-wage migrant workers helped lower production costs which resulted in more output and created more employment. It is already a well-known fact that many Malaysian factories, shops, construction sites, plantations and even mamak stalls and kopitiams would grind to a halt in the absence of migrant workers, not to mention Malaysian families that rely on domestic workers to manage their household chores. Thus, it is imperative that this particular group of people – also a critical portion of the lower-income groups - be included in the monthly travel pass plan so that their contribution to our economy and society can be properly acknowledged. In the same vein, foreign spouses married to Malaysian citizens should also be entitled to the monthly travel pass on the mere fact that they are important members of Malaysian society by virtue of marriage. Many of them also work to ease the financial burden of their Malaysian spouses, thereby playing a critical role in ensuring a happy and financially stable family. This aside, the education sector is a main contributor to Malaysia’s revenue. According to the Ministry of Home Affairs, nearly 160,000 foreign students studied in various educational institutions in Malaysia as of 2017 and contributed RM7.8 billion to the Malaysian economy. Last but not least, we would like to caution that the government’s decision to offer public transport benefits based on citizenship could produce the negative effect of marginalising further those who are considered stateless under Malaysian law. Needless to say, despite not being Malaysian citizens, migrant workers, foreign spouses, permanent residents and international students continue to make a huge contribution to our economy while enriching our culture and society along the way. Their presence should, therefore, be appreciated rather than ignored or even excluded. It is the same with Malaysians who live, work or study overseas - they, too, long to be accepted by their host society. In fact, many of the developed countries offer public transport benefits to all users regardless of nationality. In London, the seasonal travel passes in the form of the Oyster Cards are available to all who live in the city, as every Malaysian who commutes to work in the British capital can confirm. The same goes for other metropolises such as Paris and Berlin. A larger segment of society enjoying the monthly pass would also translate into lower government subsidies and greater bargaining power on the part of the government to negotiate other public transport deals in the future. If the Harapan government is sincere in creating a new Malaysia based on democracy, equality and human rights, it should start with enabling all people to participate in our social, economic and cultural life on the basis of equality of rights, equity and dignity regardless of nationality. It can best do so by reshaping its commitment on the monthly travel pass initiative and allow all non-Malaysian residents to purchase and enjoy the monthly pass at the same rate as Malaysians. AGORA SOCIETY is a loose network of intellectuals, writers and activists who advance democratic progress.